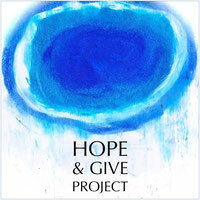 Wolfgang Bahr in Germany, winner # 24 - hopeandgives Webseite! 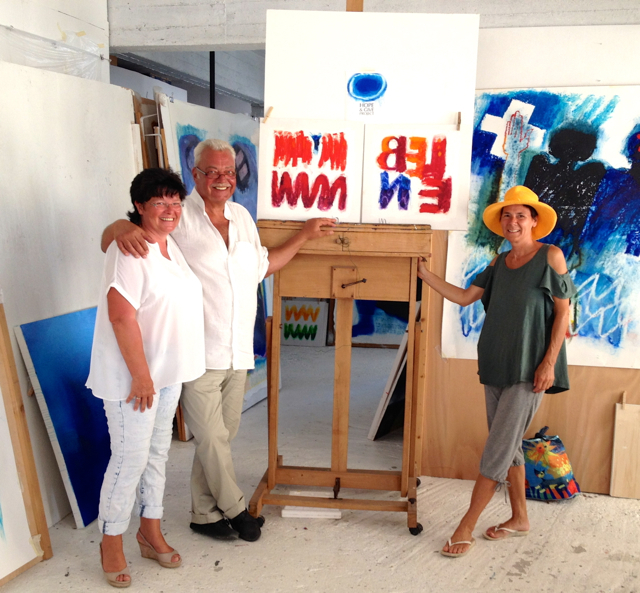 Wolfgang and his wife Sylvia picked up his paintings by a visit in our studio during their holidays in Greece. 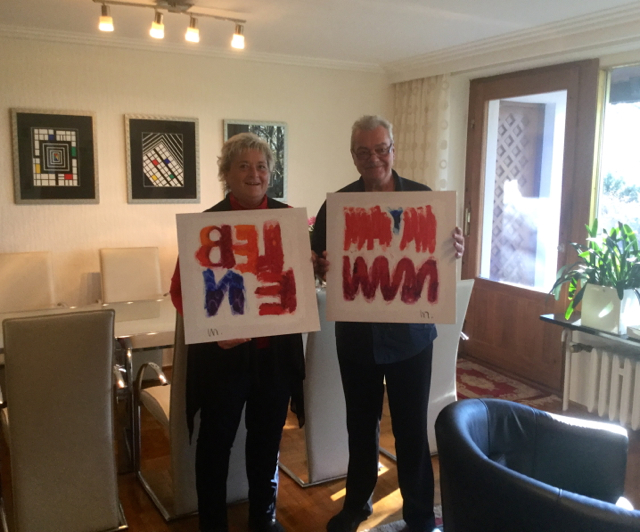 The second painting gave Wolfgang to a very close friend of them, Kerstin in Saxony. "I hope for the serenity of the tiger and to jump at the right moment." We stumbled over here different web address and thought I might as well check things out. I like what I see so i am just following you. Look forward to looking at your web page yet again.